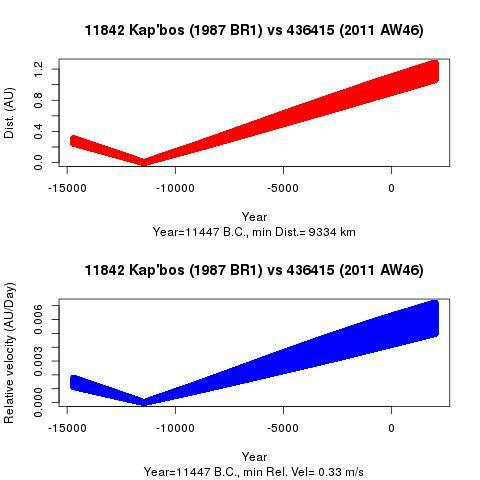 11842 Kap'bos (1987 BR1) is an interesting asteroid indeed! Looking at nominal parameters, it seems that these two asteroids had a very close encounter (nearly 9000 km) with a relative velocity of about 30 cm/s about 11500 years ago. I do not know whether this is true and, if yes, whether this is just a coincidence or these two asteroids separated in that moment from a common body.